According to a random GoogleTM search (because, you know…the internet never lies), the average “top” ice hockey slap shot contains around 163 joules of energy. Which (because, you know…energy is energy is energy) is the same as around 0.0454 watt-hours. And because nobody, even long time energy type people, really knows exactly what a watt-hour is, is enough to keep one of those high-falutin’, energy efficient LED tubes we’ve put in all-over UHN going for around 9 seconds. Put another way, that means accidently leaving just one of those high-falutin’ lights on overnight is the same as wasting over 5,000 Auston Matthews slap shots…Which. Can. Not. Be. Allowed. To. Happen (because, you know…if the Leafs are gonna go deep, we need more Auston). And according to the same source found through the previously mentioned random GoogleTM search (because, you know…when you find a good source, why risk things by looking for independent verification), the average “top” baseball pitch contains around 162 joules. Put another way, that means that if I, for some strange reason, left my EnergyStar laptop in super efficient sleep mode overnight instead of turning it off, I would waste around 174 pitches…almost twice as many as Aaron Sanchez hurled during his near “no-no” game last week…Which. Can. Not. Be. Allowed. To. Happen (because, you know…the Jays are hovering around 2nd place, much to everyone’s pleasant surprise…and yah, I know…baseball has a looooong season and it’s waaaay early). And according to yet another random GoogleTM search (because, you know…why change a good process if it’s working) a professional soccer player burns around 51 kilo-calories for every five minutes played. Put another way, that means that if I, for some strange reason, left the 24-inch EnergyStar monitor that’s hooked-up to my laptop (because, you know…middle-aged eyes) on overnight instead of turning-off the power bar it’s connected to, it’s the same as wasting 15 minutes of Jozy Altidore playing time…Which. Can. Not. Be. Allowed. To. Happen (because, you know…we are the champions). And according to my vague recollections of high-school, a basketball shot on its way down to the net will accelerate at 9.8 metres per second square…the exact same rate as a drop of water falling (because, you know…the laws of physics). Put another way, that means each drip of a leaky tap that’s not reported to Facilities wastes as much gravity (yah, I know…but I’m claiming artistic license on this one) as a Kyle Lowry three-pointer…Which. Can. Not. Be. Allowed. To. Happen (because, you know…this is the Raps’ year). 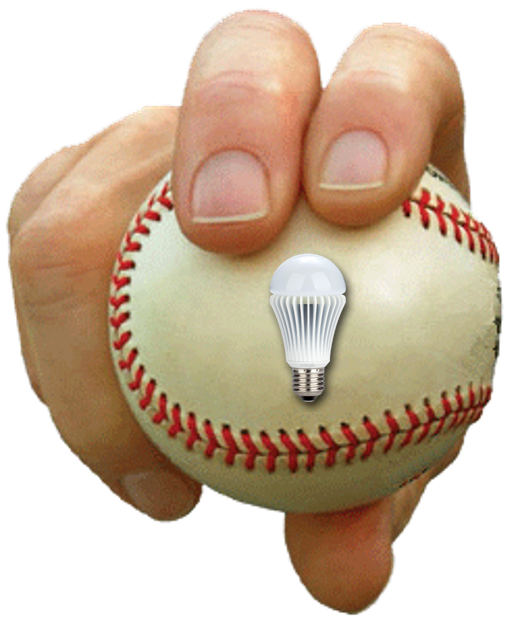 When it comes to sports, there are winners and there are non-winners (trying to keep the message positive here)…but with energy efficiency, everybody wins. So be a good sport, and (after ignoring the clichés) help UHN be an energy saving champion. Come celebrate Earth Week With UHN, April 13 – May 4. Visit TalkinTrashWithUHN.com for details. This entry was posted in Talkin' Trash. Bookmark the permalink.